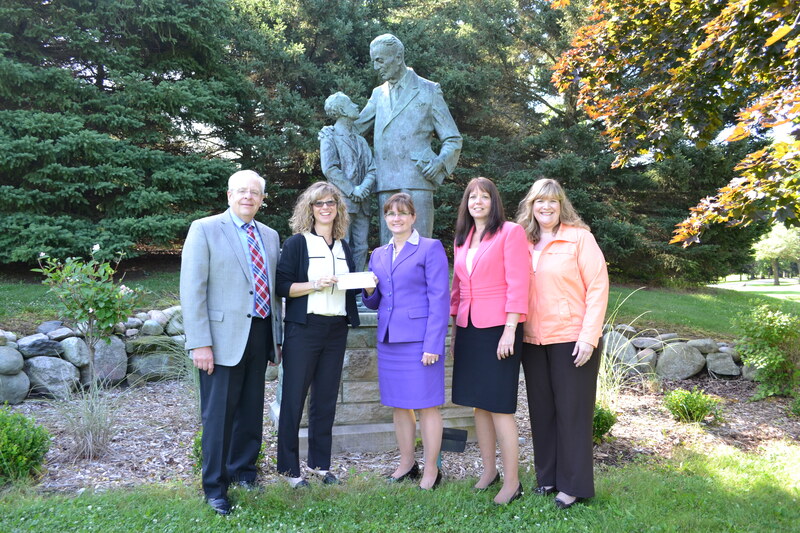 A grant from Chemical Bank has boosted Starr Commonwealth’s Battle Creek program, which provides hundreds of families with mental health services each year. The grant of $2,250 will provide additional after school activities for the young people in the intensive in-home mental health program, as well as important information materials. Starr’s intensive in-home mental health program has served families in the Battle Creek area for the last 18 years, and combines individual, family and group therapy; crisis intervention; case management; and connection to community resources. Starr staff members are available 24 hours a day, 7 days a week to provide support, therapeutic intervention and advocacy for children and families. Starr incorporates its strength-based approach to determine appropriate treatment, tailored to meet the needs of each child with a focus on the family. Youth in the program are dealing with a variety of problems stemming from abuse, neglect, trauma, and mental health issues. The goals of Starr’s Battle Creek program are to promote positive development and healthy family functioning and reduce or eliminate a child’s need for psychiatric hospitalization or other out-of-home placement. This entry was posted in Funding and Grants, Mental Health, Starr Battle Creek and tagged Battle Creek, Chemical Bank, Grants, Mental Health by Starr Commonwealth. Bookmark the permalink.